The increasing use of technologies allows us the privilege of lab-grown alternatives. Although the FDA has just approved fake blood for imminent lab-grown meat we can guarantee that future lab-grown diamonds are 100% blood-free. With a piece about the Marange mining fields, Human Rights Watch has recently brought to attention the horrific happenings of the diamond industry. Zimbabwe’s mining areas, for example, are known to violate human rights abuses by torturing, misplacing, and killing various local communities. Some diamond companies are improving their transparency. Companies such as Signet Jewelers Ltd have publicly launched initiatives to ensure traceable sourcing and Tiffany & Co finance their own mines. However, still not all can ensure conflict-free diamonds. Global supply chains are long, complex and ambiguous and it is difficult to ensure responsible sourcing. Fortunately, as the social conscience shifts and technology evolves, alternatives to blood diamonds are emerging. Younger generations are leaving conflict diamonds behind and are seeking out substitutes such as lab-grown or lab-created options. To the naked eye, lab-grown diamonds look exactly like their natural counterparts but are created artificially. Although the name might indicate that these alternatives are completely fake, that is not the case. These diamonds are created from tiny diamond fragments and have the same physical structure and chemical composition as a naturally mined diamond. Basically, technological processes are used to imitate the natural process. The other option is buying a lab-created or simulant diamond such as moissanite. 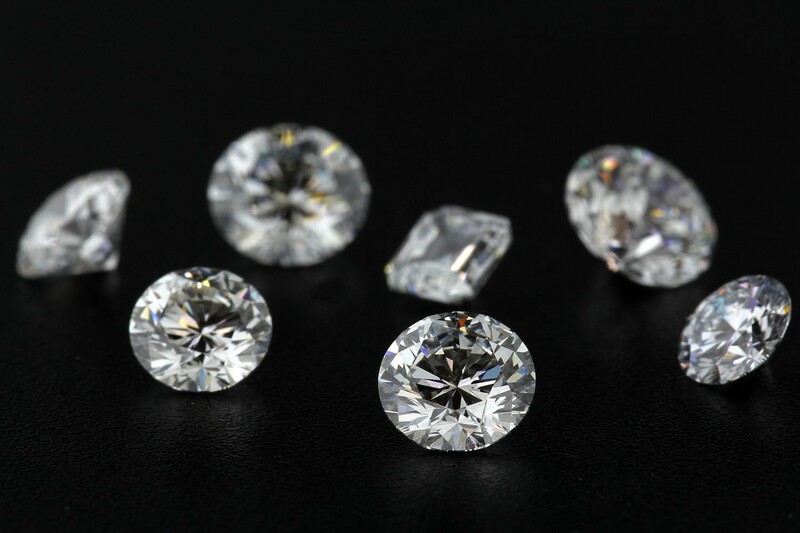 They look very similar to diamonds but do not have the same chemical and physical properties. This is why they are also a lot cheaper than the lab-grown option. Although they look very similar and are still beautiful, an expert can easily distinguish them from their natural counterparts. However, their colour and durability come very close to that of a real diamond, thus making them an option for engagement rings and daily jewellery. As the diamond industries’ awarenesses are shifting, an increasing amount of large and small companies are devoting their time and energy into lab-diamonds and so should you. They are a conscious, cheap and conflict-free alternative to naturally sourced, and often bloody, diamonds.